It’s been a long time since i’ve updated this blog; new city, new house, and new equipment to review! 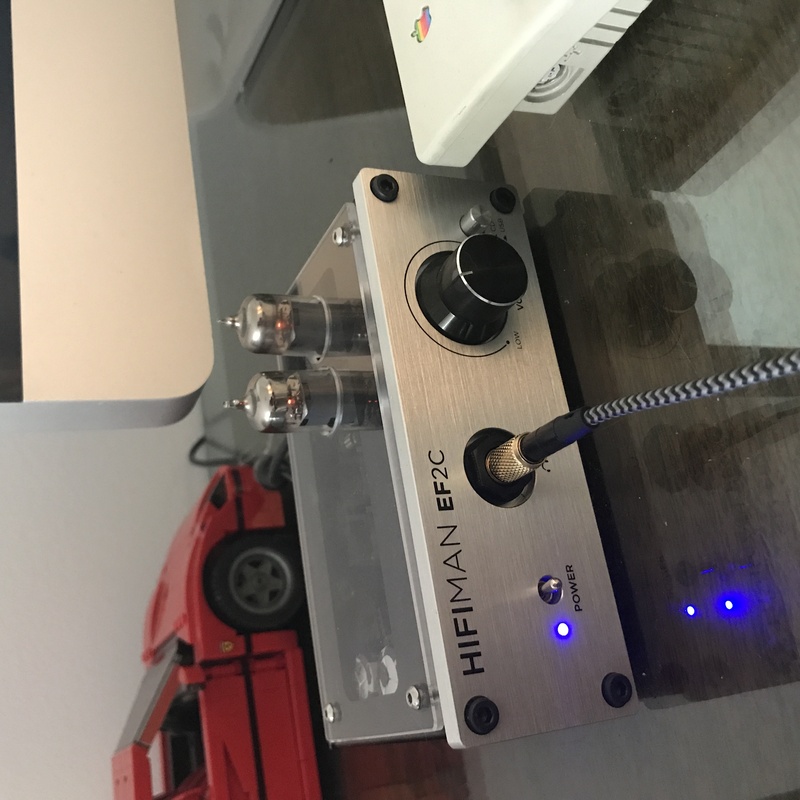 First on the list is the HIFIMAN EF2C Headphone amp & DAC , a brushed-aluminum box with a nice clicky power switch on the front and a stepped pot for the volume control. What drew me to this is the tube-driven output, I have been interested in giving tube sound a try ever since I started this hobby over a decade ago and figured the low price point and commitment of a headphone amp was a good starting point. The tubes are included in the box and fit somewhat awkwardly through holes in the transparent plastic top of the amp. Flick the power switch and you see that nice orange glow, the one that tube fans associate with an vague sense of sonic magic. The rear panel has line-level RCA inputs and a USB port for the DAC. 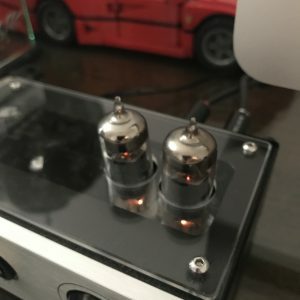 I’ve been using this amp with my iMac for the past 6 months so rather than review specific tracks, I can give a general overview of the sound experience with this amp. It took some time to get used to the sound of tubes, at first everything seemed “fast” and rushed. This is not what I expected from tubes, which always get the descriptions of “warmth” and “laid-back”. 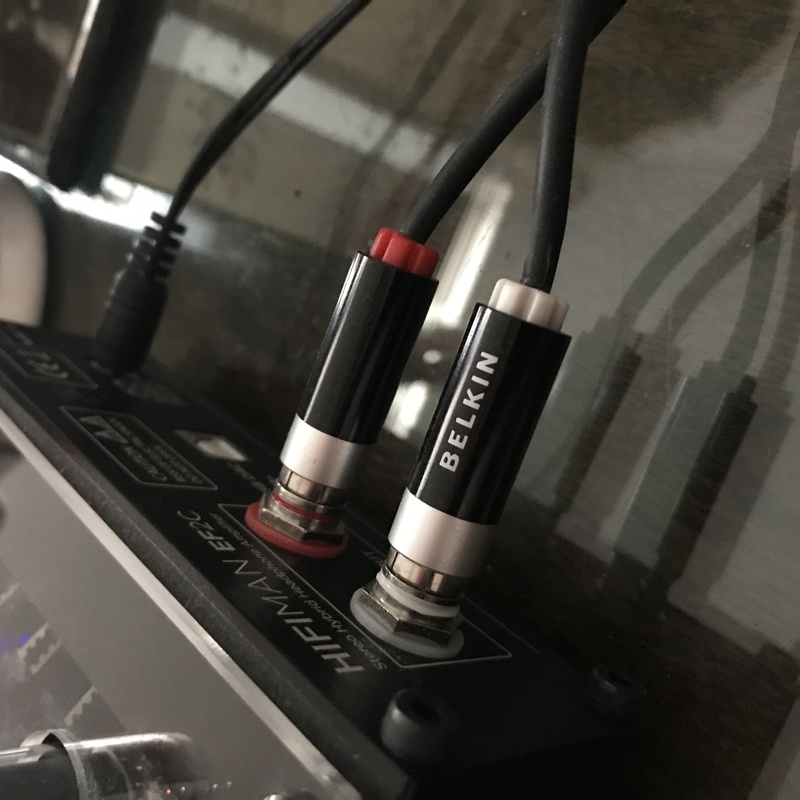 About a month in to usage, my trusty Sennheiser HD 280 Pros finally snapped in two after 12 years and 6 cities of service, so I replaced them with a pair of thinksound On2 . These paired with the HIFIMAN EF2C far better, gone was this sense of urgency that made every track seem like the artist was getting through their set as fast as possible so they could take a leak. There is a great sense of space and soundstage, plus a pleasing heartiness in the midrange. Bass is tight but not as punchy as some might like it. I consistently use the analog RCA jacks fed from my iMac’s headphone output, since the DAC on this amp is extremely disappointing. No matter what input level I feed it from the Mac, I hear clipping during distorted guitars to the point where it becomes unlistenable. 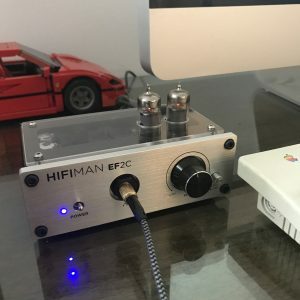 If you buy this amp, i suggest you do the same and not even bother trying the DAC, other users online have expressed this same problem. The other downside is a faint ground hum that doesn’t go away even when using the USB + DAC connection. This could be the result of a number of weird electrical gremlins in my listening room that I don’t feel like tracking down, and its quiet enough to not be noticeable unless I listen for it. Overall, I recommend this amp mostly due to its low $100 price point. The amp looks nicer than sub-$100 tube amps (although the plastic topcase is chintzy). I would like to try a solid state amp like the Audeze Deckard to hear how it stacks up to tubes but more to hear a quality DAC that can handle itself without clipping.